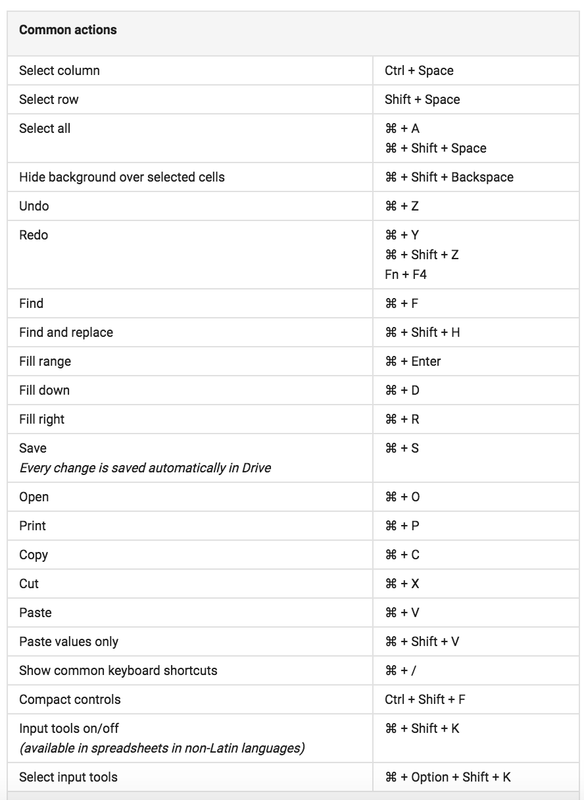 Here is an example of Sheets shortcuts for performing common actions. (Mac users). For Windows, Chrome OS and Android users, check out this page.